Unique content is heart and soul of any blog or website. Today we will discuss in detail all you need to know about exclusive content from SEO and business point of view. As we work with lots of clients, who come to us for website development, SEO, digital marketing and other online presence projects. 1) Does different content matters? 2) Will my website not show up in Google ? If I use copy paste content from other websites / blogs ? 3) I don’t have any content or copywriter, what should I do? 4) I do not want to invest in copywriting for my website, but I want SEO and rank my website on top of Google, can you people do ? Well, as an SEO expert myself and my team of digital marketers, we understand how SEO works. 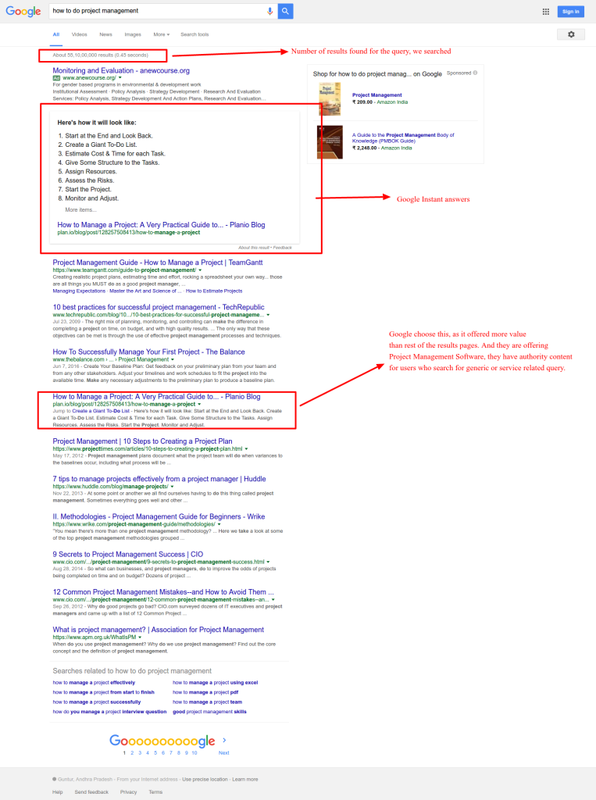 We know what are the points Google consider ranking a website in search results page. I hope, this blog post will help answer everyone who might have questions about content and its impact on the site ( in particular SEO and business conversions ). First, let me tell you why unique content is valuable. World wide web has billions of websites and blogs and resources that compete every other day. Every second a new domain gets live and every second someone from some part of world publishes content. With user generated content ( like Facebook, Twitter, Instagram and other social media ). Competing for the content marketing game with a copy-pasted content on your website is not easy. When we search for “how to do project management” which is a generic query, you can see a bunch of results from Google. Google gives instant results, which means visitors will just get what they wanted without even leaving to other results pages. ( I mean 2nd page and so on). In this situation, the content value, unprecedented proportion are paramount. If you sell a project management software, you might want to write an article for people so that you can provide information, then convert them into customers. In such cases, you can see the number of results found for this particular query. To compete with the existing high authority websites, blogs and resource. Unique content is important, and you should add most possible value in your content. It gives the signals needed by Google bots, to evaluate your authority over a topic or niche / business and it will keep you rank up in search results over time. If you copy paste content, you are triggering Duplicate content algorithm which will do more harm than good. From a business point of view, by offering unique content on your website with the help of blogs, videos, infographics and other content marketing media. You are showing up the authority and knowledge which gives you more value when compared to competitors. It helps you from SEO and business aspect. Now, you might have convinced about the value of content in search engine optimization and marketing online. Let us see what makes a content unique and valuable. 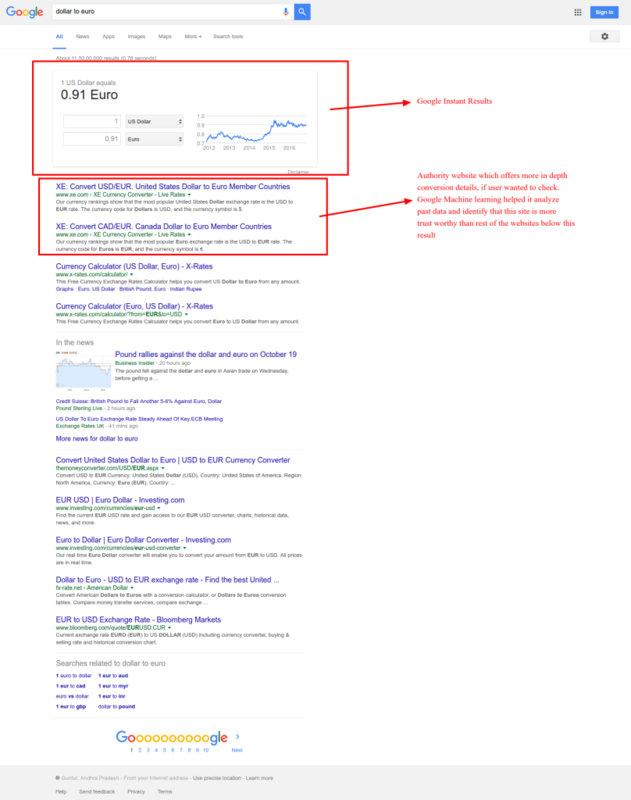 xe.com will show up in Google, while this is not an information related query. It solves the conversion of dollar value to euros which is what the user wanted. Similarly, if you search for “hotels in London” it will come up with websites that offer users more choice, than a web page that just provides information on how to find / where to stay in London. As a business owner, what you need to know is that Google’s business is to offer its visitors best results. Search Engine visitors are constantly in look out for providing best search results possible. Hence, your content needs to solve the user’s issues. It is Possible by offering unique and valuable content on your website. Suppose you are a dentist, then you should regularly write on teeth, teeth health, how to keep gums healthy, various dental procedures and so on. It helps you keep rank for several queries a prospective patient might search before he approaches a dentist finally. Content value works like a charm. While writing content may not be your cup of coffee. You can ask the SEO agency to write content on your blog. Content marketing is essential and must if you want to see good SEO results. As a business owner, you must cooperate with the SEO team and let them understand your business and provide them topics and resources so that they can do the best job for you. 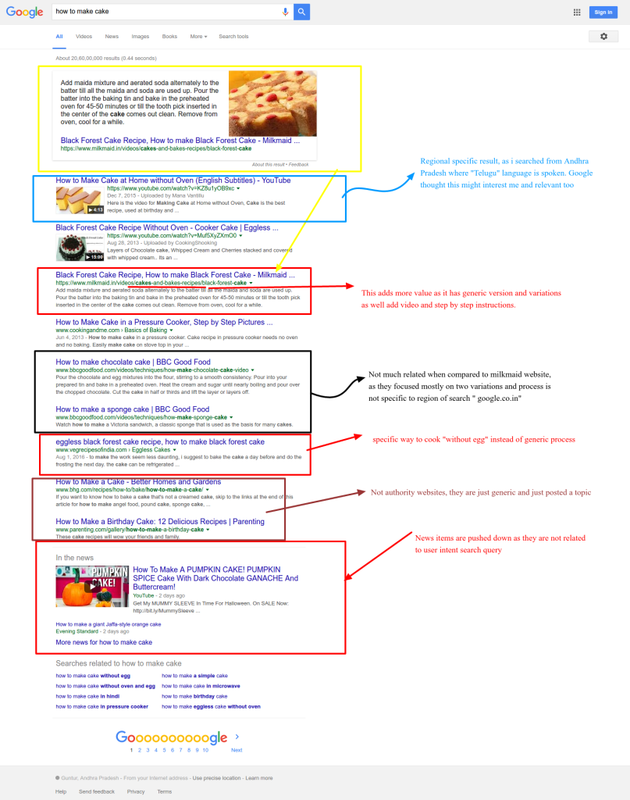 The most important point if you observe the results of websites that usually provide information for particular queries. For example ” how to make a cake.” If you see the results page, the sites or blogs that are offering more detailed step by step instructions and videos are on top of this list. Also, if you observe the search results page website, those who are using easy to understand language and terminology are in the top of the page. Depending on the content you want to write on your website, adding pictures, videos and instructions make it the best. It is a good signal for user search query accomplishment. Google bots can identify if their results pages URLs are offering better content that is valuable or not. So make sure that your content follows the best practices. If you include videos or any other content that is not textual in nature, please write up transcriptions and instructions / explain things in a straightforward manner. It keeps you ahead of your competitors in search engines. Try to avoid using PDF files, Document and other content that Google bots might not read efficiently. Writing unique and valuable content is not enough. If the website does not display correctly. All your efforts will get wasted or do not return good results you expect. 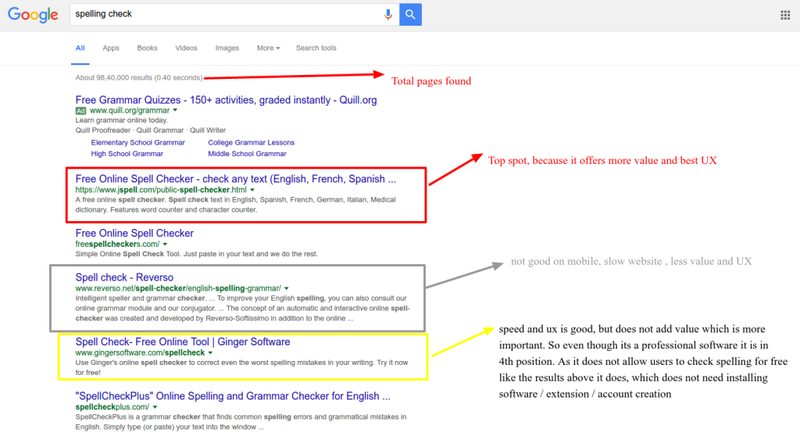 For example when you search for “spelling check” which is a query that should take the user to a website that offers spell check. In this jspell is shown first, because this offers spell check for most languages English (US, GB, Medical ), Italian, German, French, and Espanol. Reverso offers only English and French. Page speed scores: 94/100, 95/ 100 on mobile and desktop respectively. Mobile user experience score: 99/100. While the page load times of Reverso scores 59/00, 85/100 on mobile and desktop respectively. With mobile user experience score of 59/100 (failed in mobile UX). The ginger software is professional software, yet it is the 4th result, the reason being most users who use the query wants instant spell checker. So most users who land the Ginger Software page just hit back button. In this way, Google knows that the website is not offering users what they are searching. Also, the page load times of Ginger Software landing page is 49/100, 68/100 on mobile and desktop respectively. With mobile user experience score of 100/100 ( yet as it does not solve the user’s biggest problem that is spell checking the real-time without downloading any app or extension. This is still on the 4th result). Now you might have understood why user experience and value are also important if you want to make most out of your content on your website or blog. Your website / article title must be compelling. They must make users click and read it. No matter you are an expert in your niche / business unless you have an impressive Title, no one will read it. So make them most attractive. Remember every copy of content you make can build a relationship with your reader, who might be your potential customer. There is 90% probability to convert your happy users to a client. So start writing actionable content. If you give law advice to clients on a blog, make them sign up for your newsletter. Or link to your service page on your website. This is the way to build your audience and convert them into customers. Unique content which is fresh and up to date adds more value than anything else. If your website has old content that might not work in present day, update it as per this day / year. Google loves content and sites that keep refreshing and adds the most value to the search users. Whether your services may be catering to small businesses / corporate / individuals updating your content and making it valid for present day is a good thing. Example: Let us suppose you are a US immigration consultant and you offer US VISA consulting and services. You have developed website during 2003 and did not get the content updated as per this year. Although your site has modern design and best user experience. Due to the changes in VISA application process, the information on your website might be outdated and not valid in the present day. Due to this single reason, Google might push your website results down in search. It will affect your business which you are getting from organic results. So always keep the information updated, which is essential in the cut-throat search engine competition now. Most important thing for every business owner, invest on copywriting with SEO compliance, this will benefit you a lot. Avoid using content from other websites, be it your competitors or your own. While many people argue that if they do link building they can top Google searches. Links are essential but you do not need to do link building especially. This means if you invest in developing valuable content and share it on the main social networks and keep the proper call to actions. Your website and blog will earn the links itself. Content Marketing is a proven methodology used by modern digital marketers. Neil Patel, Rand Fishkin and Brain Dean are some content marketers who have followed the same strategy and achieved huge success. We thank you for spending your valuable time in reading all you need to know about the unique content. If you have any comments, Start a conversation today.